Weather forecasters are predicting a long cold winter, so Chris Lloyd, Managing Director of Spelsberg UK, is recommending that owners and operators of industrial plants take pre-emptive action before the weather turns bad by checking existing equipment. He suggests that installing thermostats and trace heating is a simple and cost-effective way to ensure operations are not brought to a standstill by the sub-zero temperatures that are sure to hit the UK. Meteorologists think we are in for a tough winter, with snow falling from as early as November and continuing into and beyond the usual snow season of January and February. While forecasts are unlikely to be 100% right, their accuracy has steadily improved over the years as meteorological understanding has increased and more powerful computer models have been developed. Anecdotally, the long spell of hot weather this summer was preceded by the Beast from the East storm of late February 2018, so it seems that UK weather patterns are changing to include more seasonal variance. But whatever the cause and whatever the severity, there is a simple, practical truth that UK winters can produce sub-zero temperatures. This means water can freeze, which may lead to burst pipes, interruptions to water supply and any number of other problems ranging from mildly irritating, through disruptive, to major catastrophe. One frozen pipe in a factory may directly affect only one operation, but that operation will be integrated with others so there may be a considerable knock-on effect. Ultimately cold weather is predictable, so it makes sense to be prepared. 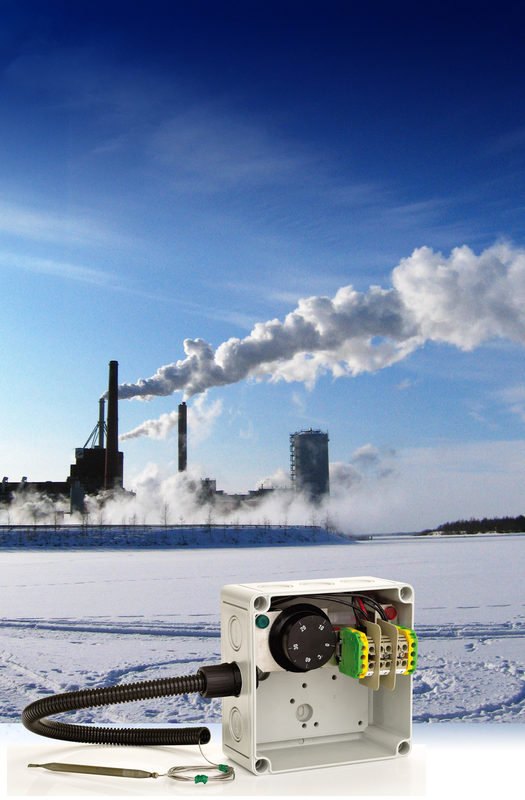 For owners and operators of industrial plants, distribution warehouses and commercial premises, a very effective option is to install thermostats that monitor the temperature in critical locations and activate trace heaters or other defences just before it gets cold enough to cause problems. Thermostats are a well proven technology, so it is a given that all but the cheapest are accurate and robust. However, once installed in tough working environments a little physical protection is in order. Spelsberg recommends that industrial thermostats are mounted in robust protective housings. However, we also recognise that selecting and fitting an enclosure that will meet the needs of the application, correctly accommodate the thermostat, and offer the correct degree of thermal and ingress protection can be daunting task for a non-specialist. 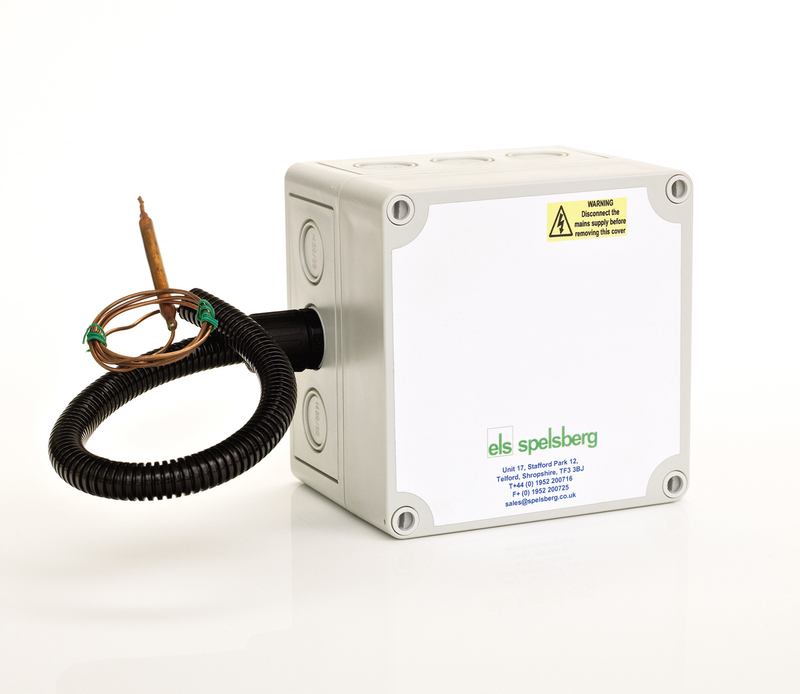 As Europe's leading manufacturer of non-metallic electrical enclosures, Spelsberg holds the required expertise and has developed its HT range of housed thermostats, which offer an off-the-shelf, turnkey solution. 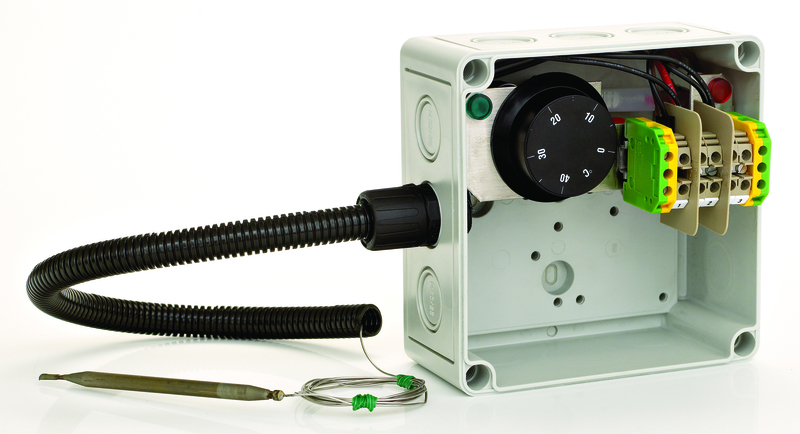 These are easy to install and provide a fully adjustable thermostat pre-assembled into one of the company's ever-popular, IP66 rated TK electrical enclosures. The TK enclosures are made of high strength polycarbonate, come in a huge range of sizes and are easily customised to meet specific application requirements. They can be fitted with a number of different thermostats offering operating temperature controls ranging from -10-90°C 0-40°C, 30-120°C, 35-210°C and 50-320°C. In fact, these temperature ranges make them suitable not only for frost protection, but also for a wide range of other duties as well. Each autumn we encourage organisations of all types to review their frost protection. Clearly preventative solutions are always worthwhile compared to the cost, inconvenience and potential loss of business from downtime caused by damaged pipes. A trace heating system is quick and simple to install, especially when the thermostats are reliable and fully protected in Spelsberg TK enclosures. Photo 1: Spelsberg recommends that industrial thermostats are mounted in robust protective housings. Photo 2: Spelsberg holds the required expertise and has developed its HT range of housed thermostats, which offer an off-the-shelf, turnkey solution. Photo 3: These are easy to install and provide a fully adjustable thermostat pre-assembled into one of the company's ever-popular, IP66 rated TK electrical enclosures.